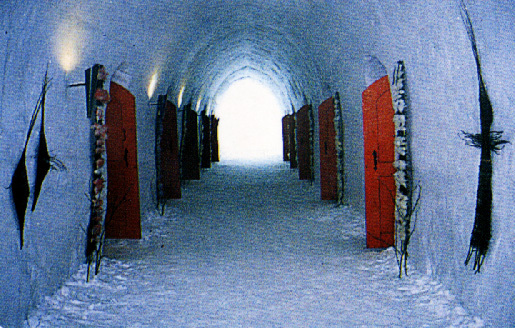 The entrance to the castle Hallway to the Ice Castle hotel rooms. 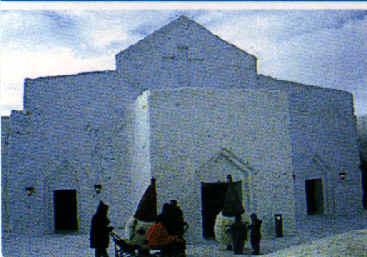 These rooms rent for 500mk per night per person. 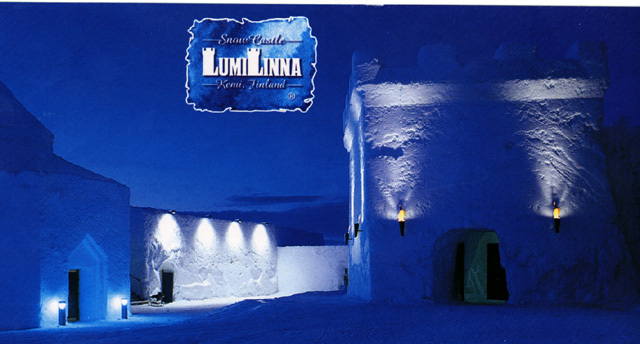 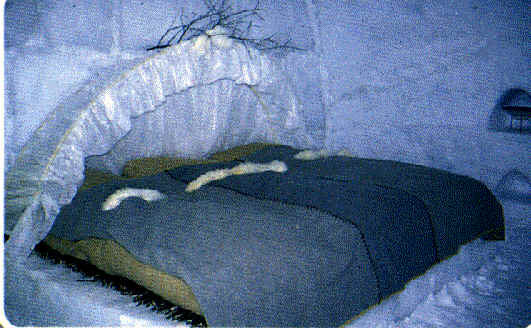 The hotel beds were made with a base of ice covered by sticks and then layers of lamb and reindeer skins.